Apple has agreed to pay $60 million to Chinese firm Proview to settle a dispute involving rights to the “iPad” name, a court in China has said. Proview had claimed that it owned the rights to the iPad name in the Chinese market after registering it in 2000. However, Apple had insisted that it had acquired the worldwide rights for the name in 2009. A court in Guangdong had asked the two firms to try to reach a settlement. “The iPad dispute resolution is ended,” the Guangdong High People’s Court said in a statement. 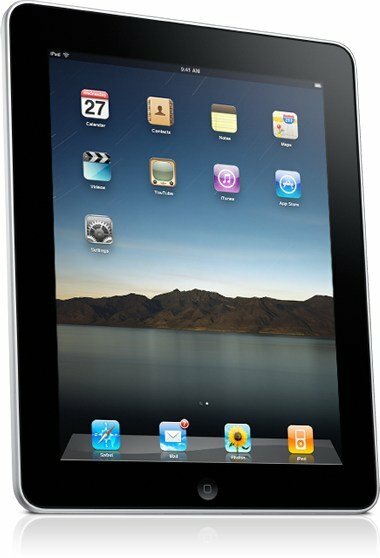 Apple had bought the global rights to the “iPad” from Proview’s Taiwanese affiliate for $55,000. However, the Chinese firm had argued that its affiliate did not have the rights to sell the iPad name rights for China, which is one of the fastest-growing markets for Apple’s products. The dispute between the two firms resulted in Apple’s iPads being pulled off the shelves in some parts of China. Proview had even sought a ban on the sales of the product in Shanghai as part of the dispute, a move that was rejected by the courts. After the court announced the settlement on Monday, Proview confirmed that the firm had agreed to the settlement. “The case is settled, both sides are satisfied with the agreement,” said Ma Dongxiao, a lawyer from Shenzhen Grandall Law Firm, which is handling Proview’s case. China is one of the biggest markets for Apple’s products and demand for its gadgets has been increasing steadily in the country. However, it is starting to face increasing competition from rivals such as Samsung as they look to tap into the lucrative Chinese market. Analysts said that one of the key reasons behind Apple agreeing to settle the naming dispute is that firm may not have wanted its sales in the country to be disrupted and as a result lose some of its market share to competitors. “When Apple is on the receiving end of a litigation, especially in China, it is a sensible move for them to settle it and move on,” said Andrew Milroy of Frost & Sullivan. The dispute between the two firms over the rights to “iPad” name was not limited to China. Proview had also lodged a case against Apple in the US. It had accused Apple of deceiving it into selling the rights to the name by setting up a company, IP Application Development Ltd (IPADL) in the UK. It claimed that Apple said the trademark was “an abbreviation for the company name”. However, that case was dismissed by the court earlier this year. Analysts said that with the two firms agreeing to a settlement in China, it was unlikely that Proview would take any further action against Apple.